Celebrating!. . 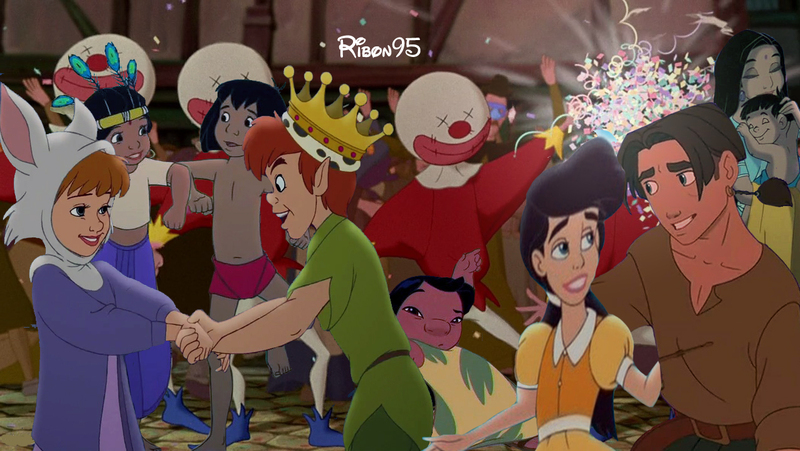 HD Wallpaper and background images in the croisements Disney club tagged: disney crossover jim melody jane peter lilo shanti mowgli others. oh my gosh you're so sweet! thank you so much! i'm really glad you like my picturess !! !